This was busy weekend, I don’t think I have ever scheduled a weekend with back-to-back races but I’m glad I did. Two of my favorite races and the need for a long run prompted this very rare race-filled weekend. 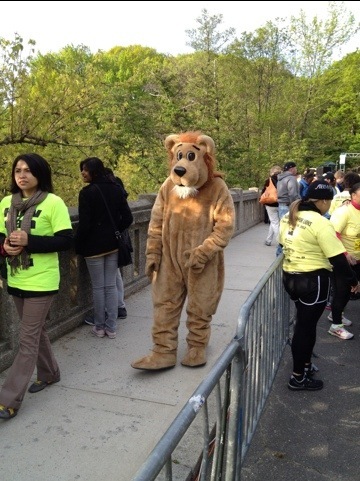 Saturday was the Bronx Zoo Run for the Wild 5k. This is the fourth year for this event and seriously one of my all time favorite races. It’s a nice 5k through the actual zoo before it opens to the public. We ran by peacocks, monkeys, zebras, and giraffes. I think one of the giraffes even tried to run along with us. It’s also a favorite race of mine because it hasn’t been taken over by all of the local running clubs leaving it slightly competitive free. It was a quick little rub and I got my new 5k PR which I wasn’t even planning on so I have to say that was a nice surprise. After running for that big guy I hung put with the sea lions. 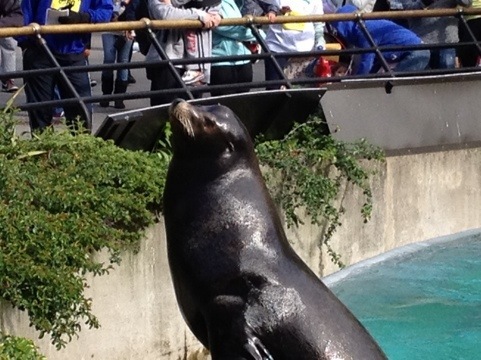 You can never, ever get enough of the sea lions. I needed to get a 12 mile long run in on Sunday so I added eight miles to the four mile Run as One race in Central Park. Last week’s four mile race wasn’t that great but this one was much better. I tried to stay at my long run pace which really isn’t much different than my race pace. That happens when you run slow to begin with. But I felt that I kept a consistent pace for the race portion of the run and then I headed to the West Side Highway for my additional eight. They pretty good and I even had some negative splits that I hardly ever accomplish. This week has been horrible running-wise and well work-wise as well. I was supposed to run 14 miles on Saturday but plans for my mother’s eventual release this up coming week nixed that. I will be heading up to Bear Mountain on Sunday for a 10k. That will give me a good workout and I know I’m ready for the Brooklyn Half. This entry was posted in Half Marathons, Races, running and tagged Bronx Zoo 5k, Brooklyn Half Marathon, Run as One. Bookmark the permalink.